To claim this profile, please confirm you are Zachery Paiz. To follow this profile, please let us know your relationship to Zachery Paiz. The Marcos de Niza varsity baseball team lost Wednesday's home conference game against Seton Catholic (Chandler, AZ) by a score of 11-6. The Marcos de Niza JV baseball team lost Wednesday's away conference game against Seton Catholic (Chandler, AZ) by a score of 1-0. The Marcos de Niza varsity baseball team lost Tuesday's away conference game against Seton Catholic (Chandler, AZ) by a score of 15-2. RESULTWin JV baseball vs. Seton Catholic. The Marcos de Niza JV baseball team won Tuesday's home conference game against Seton Catholic (Chandler, AZ) by a score of 11-0. Zachery's baseball stats have been updated for the loss @ Saguaro. 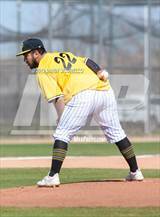 RESULTLoss Varsity baseball @ Saguaro. 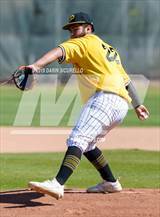 The Marcos de Niza varsity baseball team lost Thursday's away conference game against Saguaro (Scottsdale, AZ) by a score of 6-1. Zachery's baseball stats have been updated for the loss vs. Saguaro. 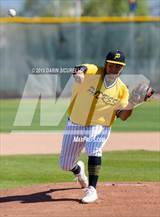 RESULTLoss Varsity baseball vs. Saguaro. 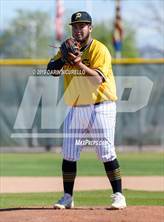 The Marcos de Niza varsity baseball team lost Tuesday's home conference game against Saguaro (Scottsdale, AZ) by a score of 9-6. Zachery's baseball stats have been updated for the win vs. Desert Edge. 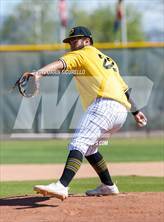 The Marcos de Niza varsity baseball team won Monday's home non-conference game against Desert Edge (Goodyear, AZ) by a score of 12-11. RESULTWin JV baseball @ Desert Edge. The Marcos de Niza JV baseball team won Monday's away non-conference game against Desert Edge (Goodyear, AZ) by a score of 16-1. Zachery's baseball stats have been updated for the win vs. Apache Junction. 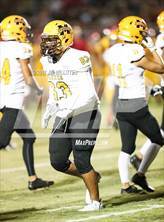 The Marcos de Niza varsity baseball team won Friday's home non-conference game against Apache Junction (AZ) by a score of 12-2. RESULTWin JV baseball @ Apache Junction. The Marcos de Niza JV baseball team won Friday's away conference game against Apache Junction (AZ) by a score of 14-3. Zachery's baseball stats have been updated for the win vs. Poston Butte. 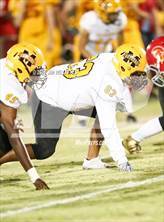 The Marcos de Niza varsity baseball team won Thursday's home conference game against Poston Butte (San Tan Valley, AZ) by a score of 7-0. RESULTLoss JV baseball vs. Poston Butte. The Marcos de Niza JV baseball team lost Thursday's neutral conference game against Poston Butte (San Tan Valley, AZ) by a score of 7-5. Zachery's baseball stats have been updated for the win @ Poston Butte. The Marcos de Niza varsity baseball team won Tuesday's away conference game against Poston Butte (San Tan Valley, AZ) by a score of 17-6.